Chinese automakers have come a long way in a short time with some set to enter the US market within the next several years. But before these Chinese companies learned how to design their own cars, many decided to simply copy designs from existing automakers. There are all sorts of Chinese copycat cars out there, including a pretty convincing copy of the Range Rover Evoque. It has become somewhat of a recurring joke that automakers are powerless to stop Chinese automakers from copying their designs because the term "copyright infringement" doesn't really exist in China. However, Land Rover decided to sue the Jiangling Motor Corporation, makers of the Evoque copycat called the Land Wind X7. The lawsuit began around three years ago in 2016 and according to Autocar, the case has finally been settled. In the end, Land Rover was victorious in the unfair competition case in what the company is calling a "first in the global car industry." The Beijing Chaoyang District Court decided that the Land Wind X7 infringed on five unique features that were copied directly from the Evoque. We don't know exactly what those five features were but we assume the 'Land Rover' hood badge was one of them. Because of the Land Wind's stolen design features, the court ruled that there was consumer confusion between the two vehicles. It looks like this case may cause a major shift in the production of Chinese vehicles, ending an era of copycat vehicles. 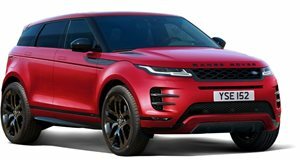 While the Land Wind looks like an Evoque, it sells for the equivalent of $20,000 (less than half the price of a real Land Rover). The court ordered that the X7 must cease production and Land Rover be paid compensation. If Chinese automakers hope to succeed in the future, they may have to do so without building copycat vehicles.